This is a Gift She Will Love! Huge hit for ages 7-10! 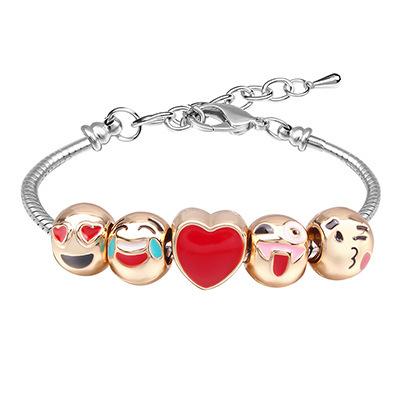 5 interchangeable, gold plated emojicons on a polished slide chain.